Mold removal requires certified, experienced professionals, in order to remove it safely and completely. Proper training ensures that all existing mold is identified, and that this mold will not return in a few months. ServiceMaster of Greater Bridgeport is your local professional source for disaster restoration and home repairs, including mold removal and water damage of all types. Mold damage in a home can be especially difficult to remove permanently. Without a trained and fully certified technician performing the work, the mold may not be completely removed, or it may simply grow back in a few months. Mold has been found to damage personal property, and also to seriously affect the health of many residents within a household -- especially those with asthma or allergies. According to the Journal Of Property Management, a single square inch of drywall can contain between one and 10 million mold spores. It only takes three to five of those spores to cause a reaction in a sensitive individual. We offer 24-hour emergency service, as well as estimates for mold removal and water damage restoration. 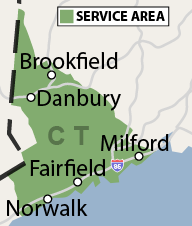 Our certified, professional services are available throughout our Connecticut service area, including Norwalk, Stratford, Danbury, Westport, nearby Southport, Monroe, Trumbull, Danbury, and the surrounding areas. 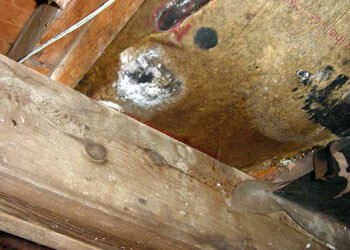 Mold destroys your home: Professional Builder Magazine warns that mold will dramatically lower the value of your home. A home worth $250,000 can easily have $100,000 in mold problems and will be difficult to sell at any price. Additionally, mold can lead to serious structural damage to your home. Learn more about how mold affects home value. Bleach & detergent will not eliminate mold: Bleach and detergent are useful for removing mold on nonporous surfaces. However, materials such as ceiling tiles, carpeting, and wallboard will have deep mold penetration and may need to be replaced. Removed mold will regrow if all sources of moisture and humidity are not eliminated. Mold removal requires professional equipment and training: Mold removal experts have a variety of state-of-the-art equipment that they use to identify sources of moisture, to dry out wall cavities, and to safely remove mold that is growing in your home. Samples of mold may be analyzed in a laboratory to identify potentially toxic strains, and special cleaning agents may be used to restore property. While some contractors are jumping on the "mold is gold" bandwagon, it's important to find the established, trained, and equipped contractors that are committed to the industry for the long haul. To Sum It Up: As Steven R. Silicato, writer for Buildings Magazine states, "Choosing the right remediation contractor could be the single most important decision an owner or manager makes -- one that could mean the difference between a successful cleanup or a negative outcome." At ServiceMaster of Greater Bridgeport, we offer certified, professional mold removal and disaster remediation services in the Connecticut area, including Bridgeport, Stratford, Norwalk, Fairfield and surrounding areas such as Danbury, Southport, Monroe, Trumbull. If your home is at risk of mold due to flood or fire damage, we offer 24-hour emergency services, available every day of the year. We can be there, on site, within just a few hours to help you dry out your home and prevent a potential mold growth issue right away. 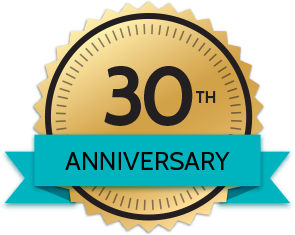 We pride ourselves on our dedication to customer education, service, and our adherence to available national standards and best practices in indoor humidity control and mold removal. Our experts are standing by to help you! For a quote for mold removal or remediation, call us at 1-844-204-8240 or send us an e-mail today! "You team did a very neat and clean job for us." In the News | First the flooding, then mold adds insult to injury! Excellent Service - Rsponsive, polite, thorough. Workers were very professional.